Cycling holidays don’t mean you need to ride every day. Give yourself a break from the saddle and explore. 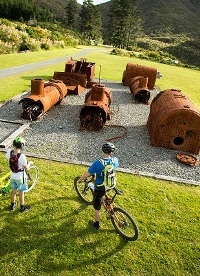 There’s plenty to do and see near the Remutaka (Rimutaka) Cycle Trail and you’re close to the Wairarapa’s five towns; Martinborough, Featherston, Greytown, Carterton and Masterton. 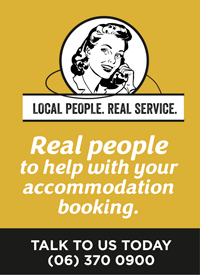 If you’re staying at accommodation in Featherston, Cross Creek or Ocean Beach book a Martinborough Shuttle or Rimutaka Shuttle to take in these options. Head to the boutique wine village of Martinborough, renowned for its Pinot Noir. There are around 20 vineyards located within a 5km radius so if you want to keep the legs spinning, albeit in a gentle manner, grab a wine map from the i-SITE Visitor Centre and cycle the vines. This is a very popular Martinborough experience. Martinborough Wine Tours, Tranzit Martinborough Gourmet Wine Tours and Martinborough Wine Walks all operate tours of the vineyards. Afterwards walk around the village one boutique and café at a time. Amongst the cafes, bookstores and antique stores of Featherston, you'll find the Fell Locomotive Museum. 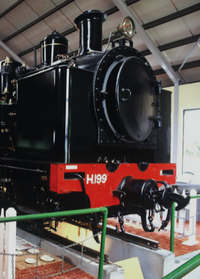 It houses the only Fell engine in the world, once used on the Rimutaka Railway where its extra traction was specifically designed to cope with the steep incline. See the locomotive and its brake-van up close, and watch films that bring the old days of Wairarapa steam travel to life. Taste buds really get jumping at C’est Cheese, an artisan deli on the main street specialising in terrific New Zealand-made cheeses. Owner Paul Broughton offers something for everyone: from cumin-flecked gouda to French-style blues. Paul also stocks New Zealand salamis and exquisite local olive oils - in fact, every deli delight you could possibly need for a picnic. Rural delivery has taken on a new meaning. Grab a ride with Gordon the postman and travel in his van all the way to Cape Palliser Lighthouse delivering mail along the way. You won’t find a better person to tell you the local stories and stories about the locals. Operates Monday to Friday from Featherston. 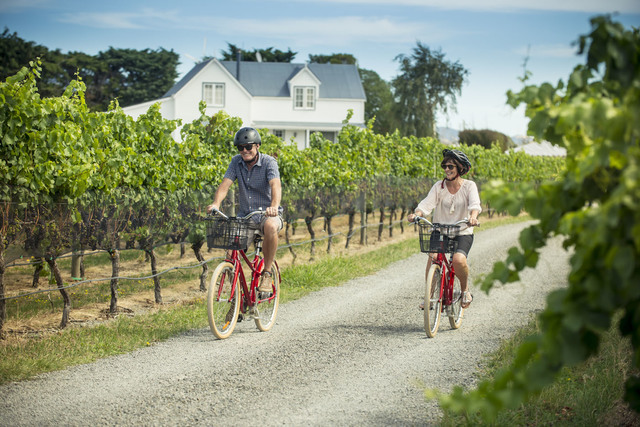 Take a tour with Hammonds to the spectacular south coast where you can enjoy fish and chips for lunch at the famous Lake Ferry Hotel, see seals and the red & white striped Palliser lighthouse before concluding the afternoon in Martinborough with a vineyard visit. Green Jersey’s guided walking tour explores the coast and the incredible Pinnacles. Te Rakau Birding takes you out into the wetlands or onto the spit protecting Lake Onoke from the ocean where many birds make their home. A great way to explore more of the area and learn about the local wildlife. Super cute railway cabins double as accommodation on Western Lake Road. Learn more about cycling the Remutaka (Rimutaka) Cycle Trail.